For five years, Jean de Loisy will serve as the president of the Palais de Tokyo. He replaces Olivier Kaeppelin who has returned to his post at the Maeght Foundation. 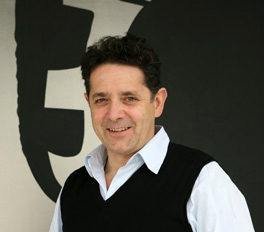 Jean de Loisy is an independent exhibition commissioner. He is currently the commissioner of Monumenta, with Anish Kapoor, and of the Israelian Pavillion for the Venice Biennial, with Sigalit Landau. The new president, who will unveil his programme in October during the International Contemporary Art Fair, FIAC, says that he "wants to make the palace and extremely open place, giving many a carte blanche to his team and to the young curators. Everything will be mixed together, it will be a place of pacification, one of the most adventurous of Europe, dedicated to French artists like on the international scene. I want to work with people that you wouldn’t imagine us working with. I’ve shown in my career that I’ll treat Anish Kapoor with the same importance as Fine Art students".